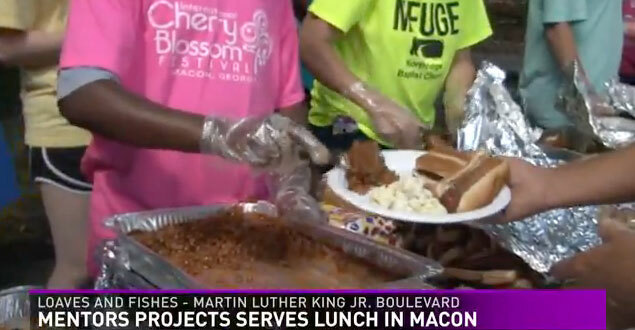 For 17 years, the Mentors Project of Bibb County has an annual free cookout for those in need. Tuesday, more than 300 people got a free hot lunch at Loaves and Fishes Ministry. Kids from their summer leadership academy got up at 7 in the morning to help prepare and serve the meal. Mentors Project director June O’Neal says the students leave the event grateful for everything they have.